When asked what sort of music Twenty One Pilots make, I couldn’t really answer, they fuse so many genres into one song, let alone an album that it’s impossible to say what classification they really belong to. What that does do is put them in a league of their own, they are completely individual and unique, there isn’t an act out there that makes this sort of music, not one that I know of anyway. Opening track Ode To Sleep demonstrates this perfectly, parts of the song sound like they should belong on JayZ and Linkin Park’s collaborative EP;Collision Course, then a cheerful piano is introduced, then it sounds like it’s going to transform into a country-music-inspired Avicii hit, and then comes a poppy chorus. There’s so much going on in this album that it often becomes tricky to appreciate. With that said, I really enjoyed Vessel, front man Tyler Joseph is an incredible talent, he can sing, he can rap, he can perform, not to mention the array of instruments he can play. On songs like Migraine, his ability to flip rap styles, to singing, to vocal shredding reminiscent of heavy rock is executed with a great degree of conviction. With energetic Josh Dun providing drums and percussion it’s an incredible feat to create such an individual sound. Vessel is such as varied piece of music that it can cater to a wide audience; slower ukelele accompanied songs about Joseph’s mum in the form of House of Gold combined with synth pop-esque Fake You Out illustrate a high degree of originality. However, with so many genres thrown together the object can often become unclear and make it a somewhat contradictive album in some ways. 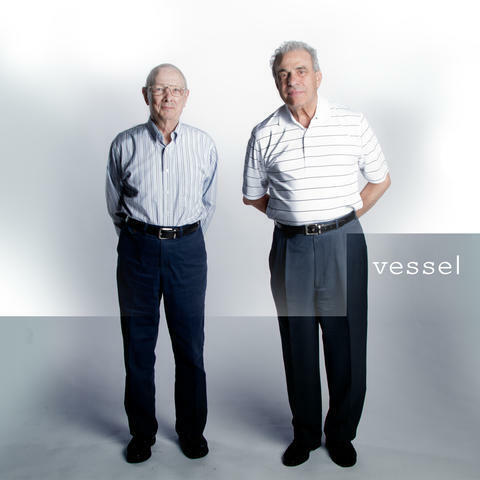 Vessel is unfocused and glassy but it still makes for a fresh new sound that is an enjoyable listen.